In Singapore, planning a proposal and a wedding can be daunting, especially when we start to calculate the finances and allocate budget. One item in the balance sheet will definitely stand out: the engagement ring. 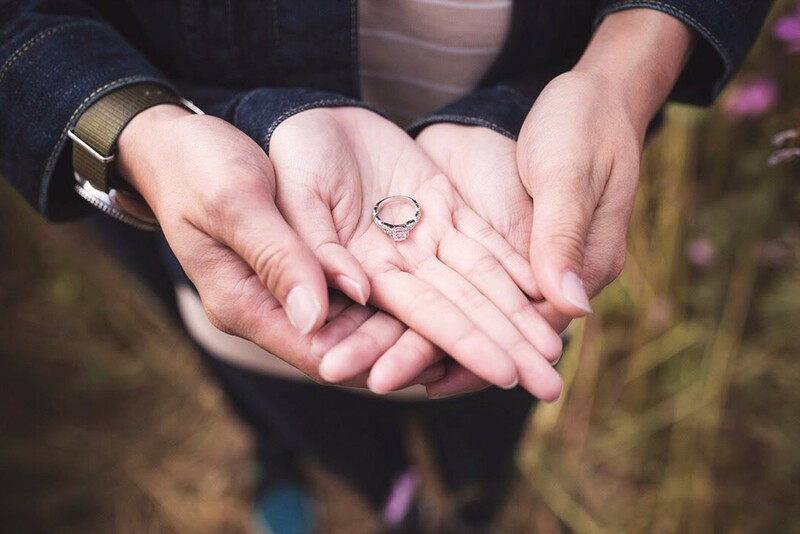 When shopping for an engagement ring, remember these three things are all it matters to her. First, how big and shiny the diamond/gemstone is. Second, the design of the ring. Third, how much does it cost? 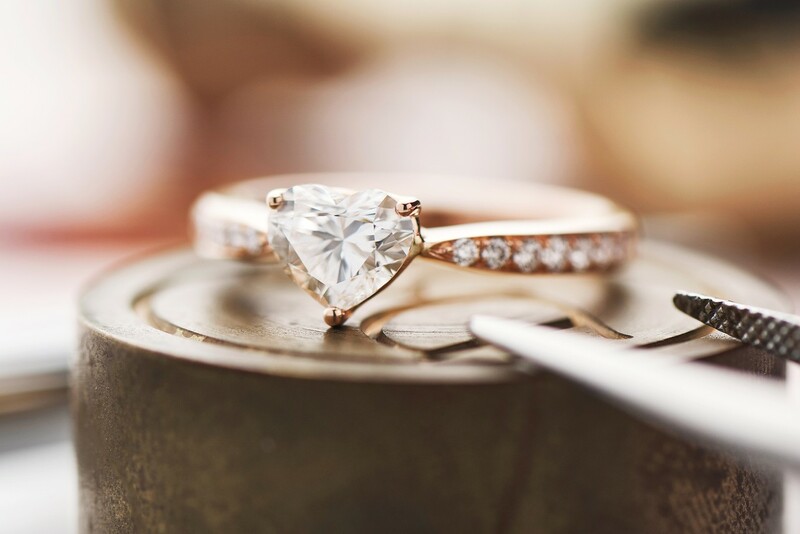 Here are 8 ways to save money when buying an engagement ring that retailers rarely spoke about. Round brilliant diamonds are the most commonly used shape for diamond engagement rings. It is classic and considered as a tradition. 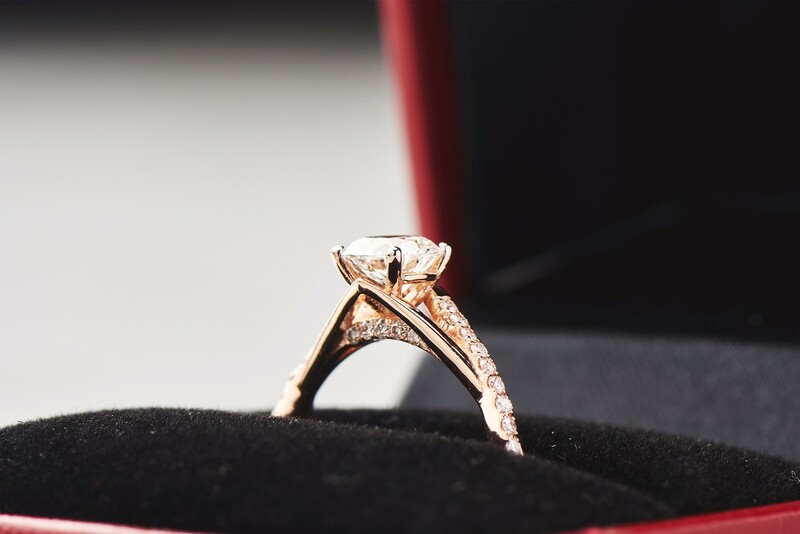 For most guys, it is also the safer selection as the ring will not go wrong with a round diamond. However, in recent years, there are more and more couples who are looking for fancy-shaped diamonds. They are citing reasons, such as desiring something unique, unconventional and a ring that matches her style. The more popular fancy-shaped diamonds currently are princess-cut, cushion-cut, oval-cut, heart-shaped and emerald-cut. And here’s the most important fact, fancy-shaped diamonds are generally 10% – 20% cheaper than brilliant round diamonds. In the diamond world, the price jumps at certain carat sizes. 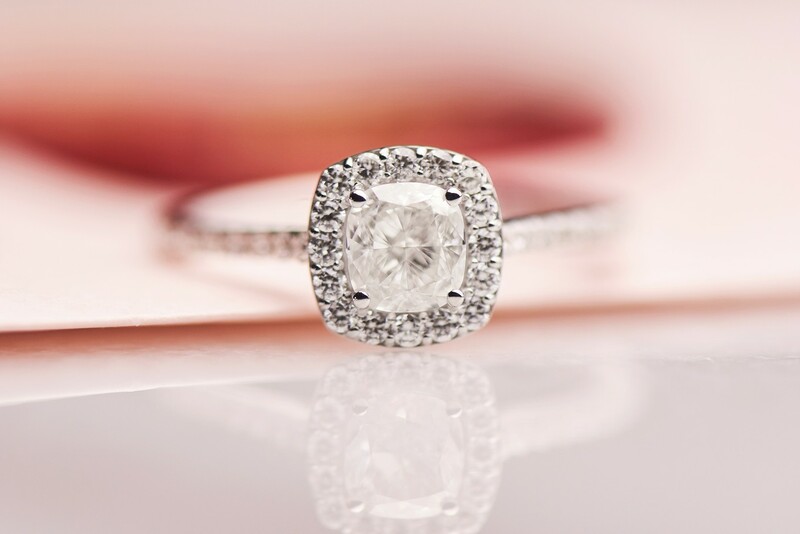 In addition, popular sizes, like 1-carat, will command an additional premium. By going for a diamond just shy of these popular sizes can help to reduce the overall price of the engagement ring. For example, go for a 0.97-carat instead of 1.00-carat. The diamonds will look similar in size visually. There are other benefits too. First, it eliminates the chances of getting a badly cut diamond. Some diamond manufactures in the market will sacrifices the cut quality to push the diamond to the next carat tier. Second, in the rare chance that your diamond chipped and needs to be re-cut and polish, it has a higher chance of keeping the diamond in the same carat range. For example, re-cut the diamond from 0.72 to 0.70-carat instead of 0.70 to 0.68-carat. The price of a diamond increases exponentially as the carat size goes up. By skipping the feature diamond, the cost of the engagement ring will be reduced greatly. Having said that, it is important to discuss with your other half as the ring designs are not as conventional. There are many designs to explore when we skipped the feature diamond. The most popular engagement ring designs in this range are the Pavé setting and cluster setting. Is diamond fluorescence good or bad? Diamond fluorescence is the ability to fluoresce under UV light. Blue fluorescence is the most common color. It is a highly misunderstood topic and there are different views on the impact of diamond fluorescence. For most people, they go by the mantra: “when in doubt, avoid it.” Global laboratories like the Gemological Institute of America (GIA) studied diamonds with fluorescence and found that some diamonds that fluoresce display the overblue effect. This makes the diamond appears hazy and cloudy in normal lighting conditions. The overblue effect is generally found in 10% - 20% of the diamonds with medium-to-very strong fluorescence. The key takeaway here is, if we can find a diamond with fluorescence and does not display the overblue effect, we can save 10% - 15% off the diamond price. Since the beginning of 2018, we are getting more and more couples opting for gemstone as the feature gem for their engagement rings. Some chose a gemstone of her favorite color, others chose one that is her birthstone. Sapphires and rubies are currently the most popular gemstones for engagement rings. Following closely behind are tourmalines and spinel. One design tip for a gemstone engagement ring is to pair the feature gem with melee diamonds. 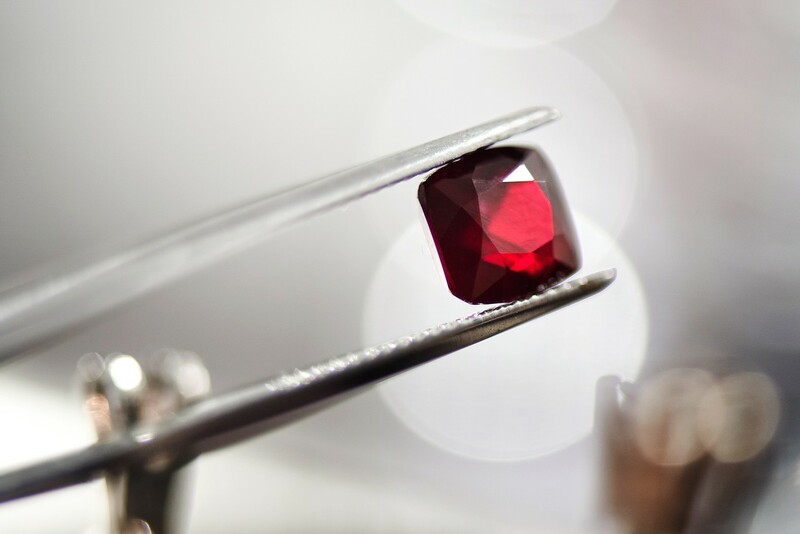 While the color of the gemstone is attractive, it usually lacks the brilliance of diamonds. With this pairing, the engagement ring has the best of both worlds! The ring design affects, not just the overall look and feel of the ring, and also the feature diamond. 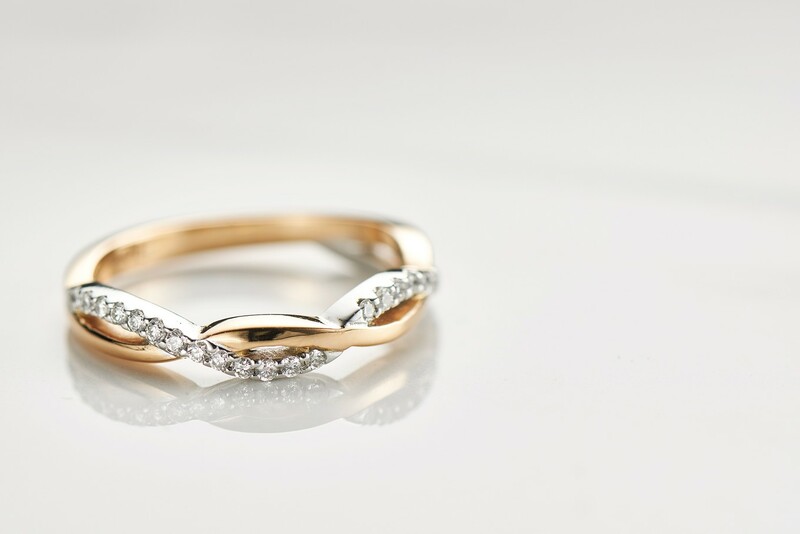 For example, setting the feature diamond on a tapered ring band will make it look larger as compared to a normal ring band. Or, try adding a round of melee diamonds around the feature diamond, it will amplify the centerpiece. That is also the main reason why the halo engagement ring is a classic and timeless ring design. With the customization process, it allows you to find the right balance between the price and the design of the engagement ring. Both the white gold and platinum are popular choices for engagement rings. The color is classic and helps to amplify the brightness of the feature diamond. 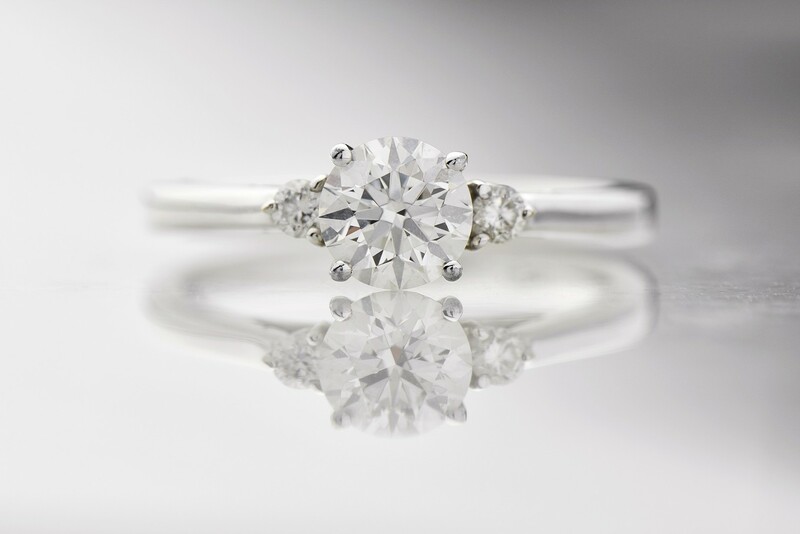 This is because diamonds reflect the color of the prongs that are holding it. Setting the diamond on a yellow gold ring will make it look more yellowish as compared to setting it on a white gold ring. In terms of cost, platinum is more expensive and cost at least 50% more than 18K white gold. While platinum is harder and more durable, 18K white gold is more cost-efficient and is durable enough for day-to-day wear. When shopping for an engagement ring, it is important to avoid the actual purchase during holiday seasons. They are a season of gifting and naturally, two things will happen. Many retailers will increase the prices for the good pieces while giving promotions to pieces that they want to clear the stock away. Plan early to avoid the price hikes. When shopping for your engagement ring, find out the things that really matter and balance it well. 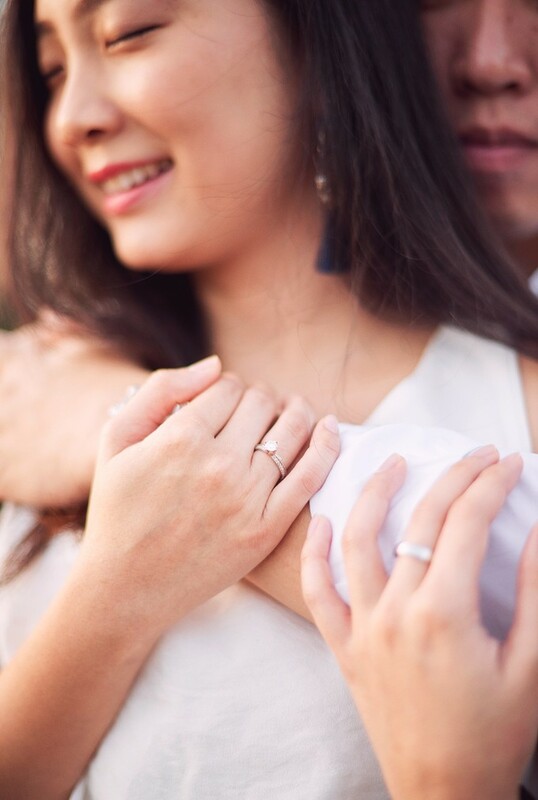 For a more unique experience, find a boutique that can customize your engagement ring. From the selection of feature diamond/gem to the material used, and the ring design can be controlled by you. 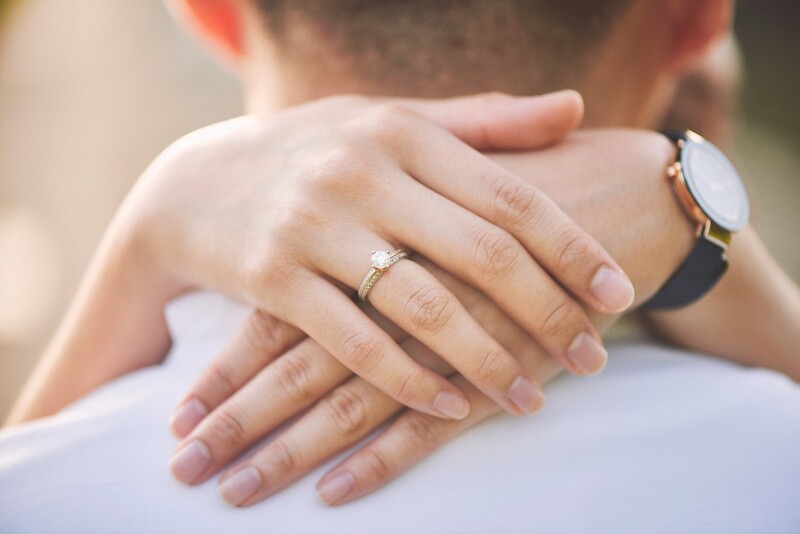 Now that you've already had some ideas about engagement ring purchasing tips, get ready to browse various high quality collections from Draco Diamonds.